The thing is, we can learn from mistakes but most of us don’t really want to talk about them too much or seek advice. Then there are the mistakes that we haven’t made yet but which others have made and we can learn from. 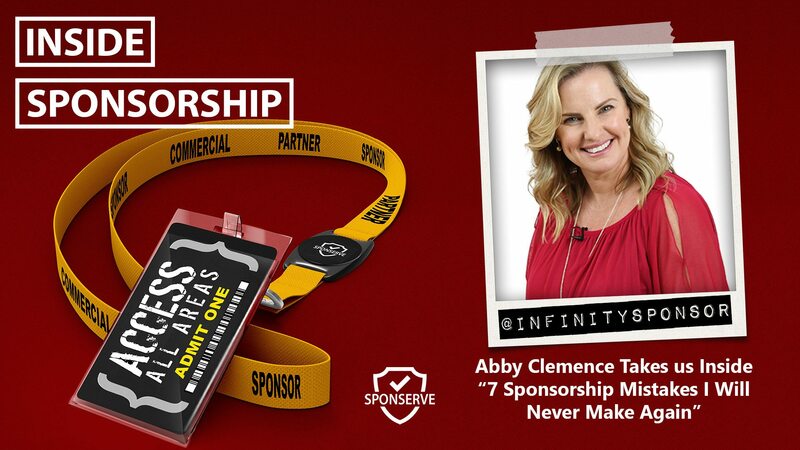 Luckily, Abby Clemence, from Infinity Sponsorship, is willing to talk about her mistakes and what she’s learned. A while back, we received an email from Abby with the subject 7 Sponsorship Mistakes I Will Never Make Again. It was an insightful read and, as an international speaker and one of Australasia’s leading corporate partnership advisors to the Not-For-Profit Sector, we thought it was a great opportunity to invite Abby on the show and share her mistakes with you in detail. If you want to connect with Abby then there are lots of great opportunities including website, Facebook, Twitter, LinkedIn and a great LinkedIn Group. There’s also Abby’s Fundraising Academy and a Free 14-day Sponsorship-Game-Changer Program which are both definitely worth your time. If you love this episode, and you haven’t already, you should head way back to Episode Nine where we had Abby on the show where, again, she shared loads of great insights and advice. Also on the episode, we welcome a new contributor to the podcast, Sam Irvine, who is our Territory Manager for SponServe in Australia and New Zealand. Sam joins us to share a key question that he wished he had asked sponsors but never did.